The Oven Maiden will restore your Canterbury oven to its former glories by using non caustic and environmentally sound chemicals. The Oven Maiden is fully insured and will arrive at the agreed time. When it comes to oven cleaning in Canterbury, The Oven Maiden's service is second to none, this not only includes the quality of the equipment and chemicals used to clean your oven but extends to courtesy and cleanliness around your home. Before your oven clean begins a tarpaulin and a waterproof mat will be placed on your kitchen floor. The purpose of which is to prevent any carbon or any other deposit from being ground into or staining your floor, as an oven cleaner in Canterbury the day job is a messy business! Looking for professional oven cleaning in Canterbury, contact the oven maiden you can be assured of a friendly top quality service, respect will be shown to your home and kitchen and most importantly you will no longer be filled with a sense of dread when using your oven. 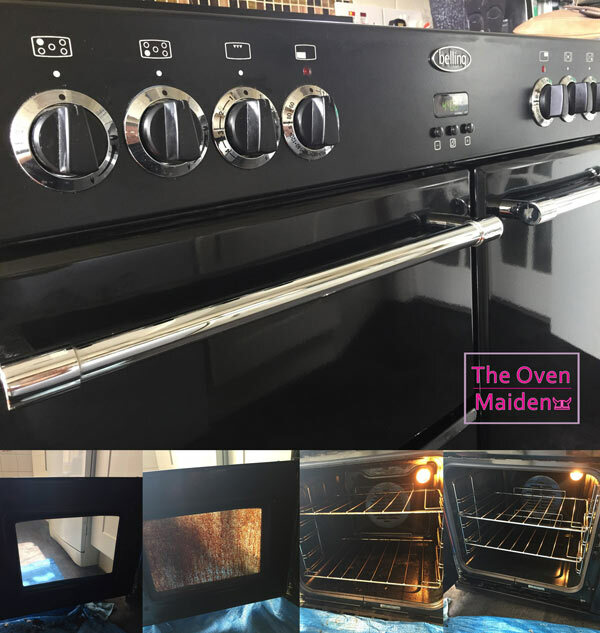 The Oven Maiden is your local female oven cleaner in Canterbury, Molash, Chartham, Chilham, Rough Common, Bridge, Patrixbourne and the surrounding villages.